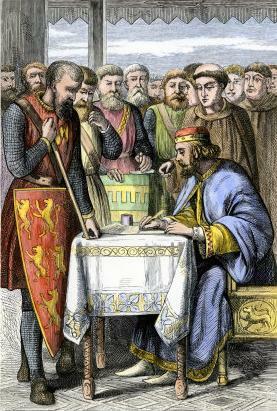 By 1215, John had been king for 16 years, and had a series of mistakes, misdemeanours, and cruel or treacherous acts behind him and at last the barons had snapped. I intend to look at some of these in another post, but today, I want to think about the Magna Carta. 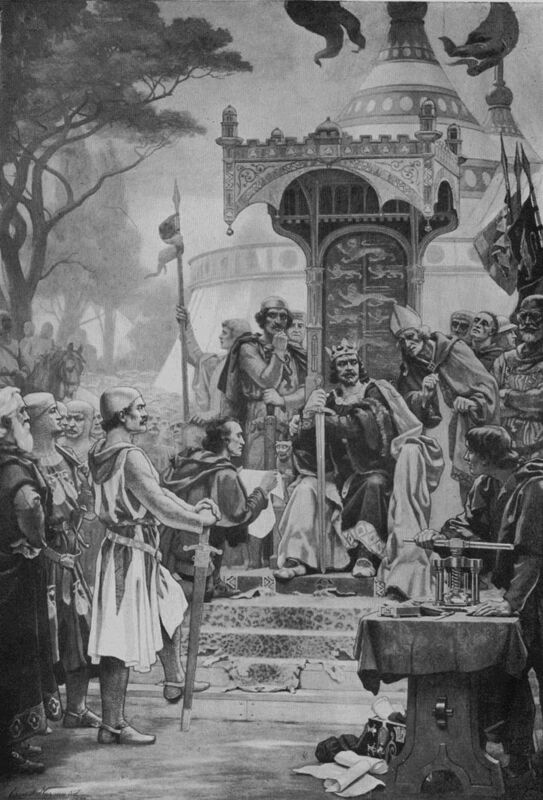 2015 marks the 800th anniversary of the signing of the Magna Carta. Several copies were originally made and delivered to religious establishments all over the country. 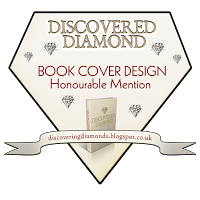 Only four of these copies are still in existence today: two in the British Library, one in Salisbury Cathedral and one belongs to Lincoln Cathedral but is on display in Lincoln Castle. Lincoln’s copy has been in the city since it was sealed by King John – it even has instructions to deliver to ‘Lincolnia’ written on the back. Lincoln is also the only place in the world where you can find an original copy of Magna Carta together with the Charter of the Forest, issued in 1217 to amplify the document, and is one of only two surviving copies. Throughout the summer, Lincoln has been celebrating this momentous signing, along with several other places around the country. And since Lincoln is only 7 miles away from where we live, Husband and I decided to pop along and have a look. Lincoln Castle is worth a post on its own – another one I have planned for later on. It’s a fine old Norman structure, unusual in having two keeps. The County Law Courts are still located inside the castle, as is the old prison – well worth a visit in itself. It is in the subterranean vault inside the prison building that the Magna Carta is on display. It’s the red brick building in the photo (bottom left) below. Unfortunately, the controlled lighting in the vaults makes taking photographs impossible. Flash photography is a no-no. So I have no photos of the documents to show. But there are some online that can be seen. As part of the anniversary celebrations in Lincoln, the organisers have created the Barons’ Charter Trail for children to follow. Twenty five fun ‘barons’ have been created, all painted in bright colours and given amusing names like ‘Truck Driver Baron’, ‘Wild Flower Baron’ and ‘Lincolnshire Waterways Baron’. They are spread out across the cultural and commercial areas of Central Lincoln. On finding all 25, and copied down the code for each, children collect a bag of King John’s gold – in other words, chocolate money. 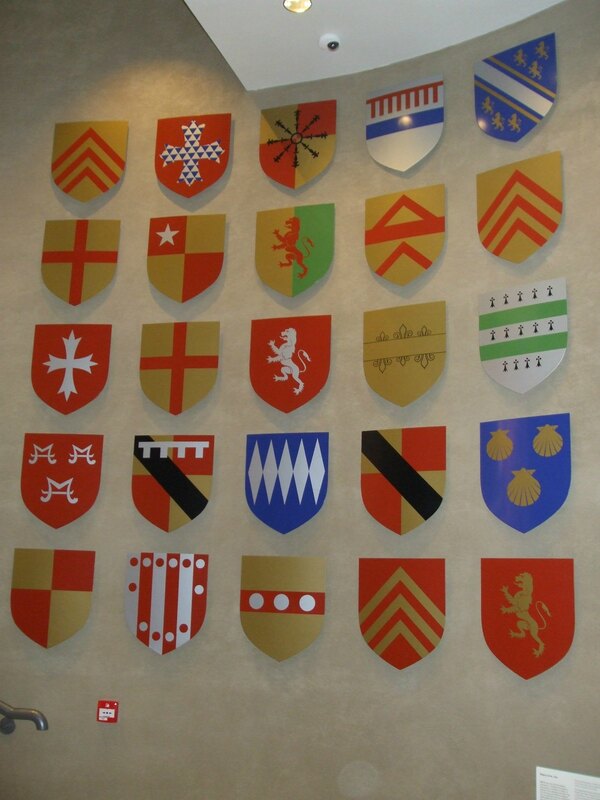 The barons’ shields, used as the header image above, are on display on the wall outside the vault where the documents are housed. A week after this visit to Lincoln Castle, we had a visit to nearby Newark Castle, where a re-enactment group were putting on a display about John and medieval life in general. We have some good photos of that event, too. Needless to say, John is featured a lot this summer. He was an interesting character, and one of the most memorable kings in English history. Thank you, irina. The Barons around Lincoln are a big advertisement for the Magna Carta display. I love the pictures and the history about the Magna Carta! What an informative and colorful post! Love it Millie! Thank you so much, Lyn. The Barons are very colourful, and quite big, too. So cute! The grounds just look amazing and such history! Lincoln’s a really old city, with history going back to pre-Roman days. There are lots of Roman remains around the place because it was a Roman fort, called Lindum. The city’s a honeypot for tourists in the summer. Thanks, Lyn. Wonderful post by Millie Thom to mark the 800th anniversary of the Magna Carta! This was very interesting. Did not know much about Magna Carta, thanks for this lovely post I enjoyed reading it. Thanks, Scrapydo. I enjoyed visiting Lincoln Castle again, and searching for all the barons. Very informative and interesting post Millie! ❤ The detailed information you provided is very useful for someone like me who has never heard of Magna Carta 😉 The castle looks really beautiful and has a great history behind it. Thank you for sharing all these marvelous photos and post with us dear! It is quite amazing that these copies have survived for so long. 800 years is a huge chunk of history and I suppose there might be loads of celebrations to mark the anniversary? And I love all those barons. They look a bit like gigantic chess pieces. Your dad sounds like a nice, jovial sort. 😀 As for the barons, they’re a lot of fun and look great dotted about the city. Lincoln’s a lovely city, especially the ‘uphill’ area, where the cathedral and castle are. It’s a nice, invigorating walk up Steep Hill to get there if you park in the lower, shopping area. Uphill is where most of the Roman remains are, too, because that’s where the fort of Lindum was. Uphill is where the famous Christmas market is, too, and that’s well worth a visit. I’ve only been to Lincoln once – about 30 years ago, so only have a vague memory of it being rather attractive and historic. Making mental note here as somewhere else to visit in the Wild North! These barons could be adapted to the matryoshka doll concept: one baron on the outside, and countless sartorially-challenged barons within. This is very interesting. I love the photos and the colorful barons, and especially the chocolate money 🙂 The Magna Carta art is quite beautiful also. Wonderful, Millie! Hi LT. Sorry for this late reply, but I’ve been away for the last eight days, up in Northumberland – with no internet for most of the time. Whilst up there, we visited my aunt (my father’s sister) and she told me something about their mother’s name. (I knew very little about Dad’s side of the family because we rarely saw them when we were young.) It seemed strange, after talking to you about your grandfather’s name, to find out that my maternal grandmother was a Greenwood. Wow – fascinating Millie. The work is so interesting! I loved the barons and that little interactive took me with it – I got lost hahaha. Yes, the barons are very colourful and a talking point for the many tourists that Lincoln gets. Thanks, Chioma. You make history so interesting! It’s amazing that the British have always been so careful to conserve those pieces of history – the physical ones as well as the traditions. I wonder what it would be like to visit the British Library… and whether it’s open to the public. it’s a big city and there’s so much to see and do. Our youngest son lives there (when he’s in England!) and loves it. i’m happier living in the countryside. But for a holiday, London is wonderful. Your camera would be very busy there! Such wonderful photos of castles! I love castles. Of course, we don’t have any of those in the US. So its a treat to get to see them. I also loved the photos of the barons! Thanks for sharing these with us. I did! It was very interesting as is all your posts. I knew you were somewhere traveling because I had not seen you around WP. It is terrible to go somewhere there is no internet. On second thought, maybe not! LOL!! Will be good to see you back. I miss the rain so much and the cold, it's too hot here. Amazing photos. I teach about King John and the Magna Carta. Nice to meet you. Thank you, Janice. I taught about King John for years, too, and find him a fascinating characer … the whole ‘Good King John, Bad King John?’ thing. There are so many places celebrating the Magna Carta this year, and I just happen to live near to Lincoln, where they’ve made a great event out of it. It’s lovely to meet you, too, so thank you for dropping by! Thank you for the wonderful post and photos! Thank you, Rhys! And thank you for the link. I’d never heard of the Droitwich Charter, although I knew John signed several around that time. I hope Droitwich made something of it during the June celebrations. It would have been good for the tourism there. My boy learned about the MC two yrs ago in First Grade in European history so I ran him through this post. SO cool you got to visit Lincoln! !